Fads go in and out with landscaping trends just as they do with other parts of home décor. In the past, entire streets full of property owners fell in love with a specific type of tree or shrub because one neighbor happened to plant a gorgeous specimen. Before you knew it, every gardener in town was growing the same variety of tree or shrub in their yard. Developers in the past followed homeowners’ trends and chose trees and shrubs based on popularity. Some developers simply bulldozed out all pesky native trees and plants, built houses and driveways, and seeded lawns. There was so much land, and so many forests full of trees, it was easy to ignore the fact that bulldozing and clear cutting entire subdivisions negatively impacted the local ecosystem. Today, people know better. There are many property owners, nature organizations, and government agencies trying to bring back more plant diversity for four important reasons. When it comes to the economy of resources, native trees and shrubs land on the list of true frugal organisms. An area’s native plants and trees are ideally suited to grow in that unique climate, sunlight, and soil conditions. One complaint about native trees is that they are not hardy enough for the weather conditions, such as strong coastal winds, in the state. It’s true that harsh winds and storms tear up native tree limbs on a routine basis in coastal areas like Florida. But many complaints about native trees—like those about the lovely golden-flowered Tabebuia—are based on trees that were not cared for in any way. When you install native trees in your yard, you control their growth. A professional tree service can monitor all of your trees and remove limbs that are susceptible to storm and wind damage. Native trees with proper management are as tidy and healthy as any other tree you’re growing. Every state and region in the country has a unique ecosystem and biodiversity. When entire human neighborhoods or subdivisions plant the same types of ornamental shrubs and trees, it reduces the amount of suitable habitat for birds, pollinators, and native animals in the local ecosystem. Birds that don’t have the appropriate trees for their nests may lose eggs or abandon the area. This leaves more insects around with fewer birds to eat them. You spray more insecticide to kill the bugs, but then the local lizards and frogs have no food source, so they and their predators leave the neighborhood, too. Slowly but surely, a few invasive insect and animal species take over, and the entire ecosystem has been disrupted. By working with wildlife, humans help decrease harmful predators and increase helpful mammals and other creatures. When you plant a few native trees in your landscape along with your ornamental trees, you play a small but important role in maintaining and growing the biodiversity around you. Butterflies and songbirds will happily visit the thriving world you create. In many states, the local economy is dependent on the crops grown in that region. In turn, crops are dependent on the efficient and free labor of natural pollinators, including bees. Many native species of bee nest in underground tunnels or in tree cavities of native trees. Homeowners who wish to plant native trees that are bee-friendly have a diverse selection to choose from because each species of bee has a different preference and a different tree to call home. A helpful guide is to plant trees and shrubs that have large purple, blue, yellow, and white flowers. The petals on flowers should be wide enough to let the bees rest on them while they sip. Since trees flower for short bursts, usually in spring, add pots or beds of the same colors of flowers that bloom all year. That way, bees have a steady nectar supply throughout their short but busy lives. It’s not necessary to tear out all of your formal landscaping to grow native plants. 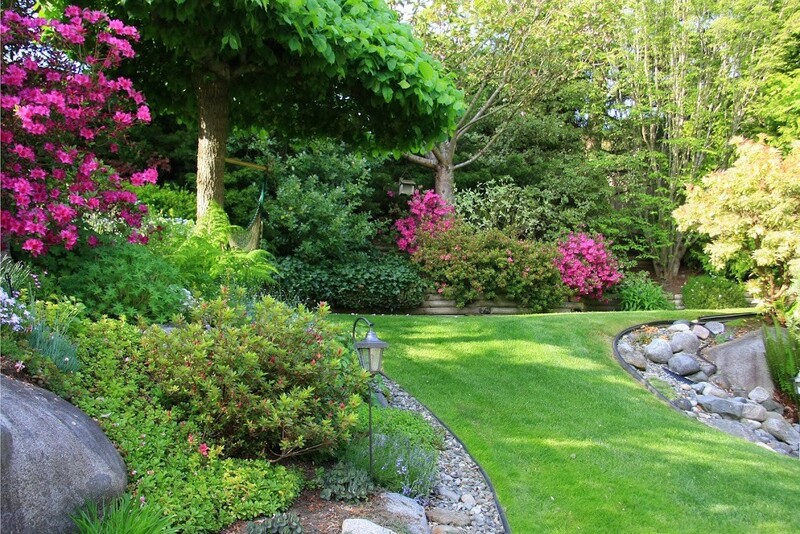 If you already have a lush yard, add one or two native shrubs or trees to give the yard an exotic look. Not all native trees are perfect for every climate, of course. Plants and trees that prefer wet feet will adore growing in marshy parts of the state. Meanwhile, understory trees are conditioned for the dry, shaded conditions under larger trees. They don’t like being stuck in the mud at all. When matched to the proper soil conditions and yard location, a native tree should display its full salt tolerance, stunning blooms, or other traits that makes it a winner. Contact Pete & Ron’s Tree Service, Inc. today to learn about the best native trees and shrubs for your landscape. We help you keep all of your trees healthy and strong for years of shade, blooms, and enjoyment.